Modi government has taken a big decision on Triple Talaq bill. 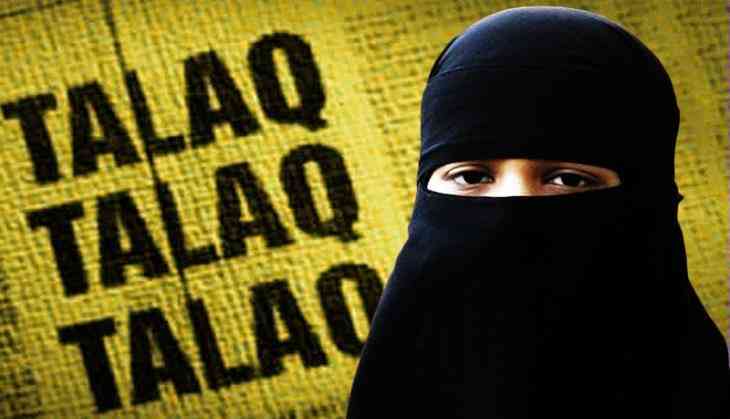 The central cabinet has approved Triple Talaq ordinances on Wednesday. Triple Talaq is a crime now, hence this ordinance will be applicable for 6 months until government present the bill again in parliament. After the bill got passed from Lok Sabha this bill was pending in Rajya Sabha. Despite the amendment this bill was not passed from Rajya Sabha. Targeting opposition parties such as the Congress, a BJP leader said, “This ordinance is also a matter of guilt and introspection for them as they forced Muslim women to suffer this wrong practice for decades due to their vote bank politics”. After ordinance on Triple Talaq the Law Minister Ravi Shankar Prasad thanked media saying media has explained the matter in detail. The offence of instant Triple Talaq will be “compoundable”. A magistrate can use his powers to settle dispute between a husband and his wife. This will happen only when the wife approaches the court. Under the proposed ordinance, giving instant triple talaq will be illegal and void and will attract a jail term of three years for the husband. Previously, on Tuesday 12 august 2017 the Supreme Court has banned Triple Talaq with immediate effect three out of five judges hearing the case have declared Triple Talaq as ‘arbitary’ and ‘unconstitutional’. The top court also asked the Parliament to bring in the new law to govern the issue. A five-judge bench comprising of Chief Justice Jagdish Singh Khehar, Justice Kurian Joseph, Justice Rohinton Fali Nariman, Justice Uday Umesh Lalit and Justice S Abdul Nazeer all from different religious communities including Sikh, Christian, Parsi, Hindu and Muslim, heard seven pleas including five separate petitions, filed by Muslim women challenging the prevalent practice of Triple Talaq in the community.